There are many benefits to refinancing a car loan. Some of the top reasons include lowering monthly car payments, turning equity into money to help pay off other loans, and getting a lower interest rate with better terms. All of which can help to save you money in the long run. But what happens with bad credit car loans? Can you still refinance? Should you refinance? Yes! In fact, we encourage you to. Although refinancing isn’t that complicated of a process, it can be a bit difficult and frustrating to get approved for a lower interest rate if you’ve made late payments, have gone through bankruptcy, or have accumulated too much debt. If you find yourself in this situation, fear not! There is still hope. The team at LendingArch is here to tell you everything you need to know about refinancing bad credit car loans. Before you decide to refinance your current auto loan, here are some frequently asked questions and items to consider so you are fully educated about the refinancing process with bad credit car loans. 1. How Does Refinancing Work? What does it mean to refinance bad credit car loans? You’ll be replacing your existing loan with a new one from another lender. This new loan will hopefully have a lower interest rate and more favorable terms. Additionally, you’ll be able to either keep the same loan length, extend it or shorten it. The new loan amount will usually be the same amount that you currently owe. Sometimes you’ll be able to take out cash in the refinancing process. However, in doing so you could increase your chances of accumulating additional debt. Taking cash out should only occur if you need it for an extreme emergency. Credit has improved: Did you buy a car with not-so-great credit? Have you been making consistent, on-time payments? If so, you might be able to qualify for a loan with a lower interest rate thus lowering your monthly payment and helping to save you money. Interest rate increased: Did your original lender increase your car loan interest rate? You can undo this by refinancing with a new car loan. Oftentimes you’ll be able to receive a lower interest rate. You’re having difficulty with your payments: Whether you accidentally were too aggressive in thinking you could pay off your current auto loan or can no longer afford your car, refinancing can extend the length of your loan term which will ease the financial burden. However, keep in mind that extending the term length will mean that you’ll pay more in interest over the life of the loan. Market interest rates drop: Interest rates fluctuate for many reasons. If rates drop lower than when you first got your auto loan, refinancing can help you to pay it off faster. 3. Are You Sure I Can Refinance Even With Bad Credit? Yes, you can! While the process might be a bit more complicated, you can certainly still refinance bad credit car loans. Whether you’ve consistency made payments for several months or took measures to increase your credit score, lenders will look at these efforts favorably. Even if you have little to no credit, there are still plenty of options for you. The team at LendingArch specializes in matching Canadians to the right lenders. Simply fill out our short online application and you’ll be matched with lenders who will work with you on auto loan refinancing. 4. How Can I Refinance? There are two options: use your current lender or find a new one. Before shopping around to find a new lender, we recommend you ask your current lender about refinancing opportunities, especially if it’s been a few years since your current loan originated. Now that we answered the top questions about refinancing, let’s focus on the steps you’ll need to take when refinancing bad credit car loans. One important item that all lenders will look at is your credit score. In preparing for a refinance, we encourage you to thoroughly check your credit reports and credit scores. Look for any errors that could be hurting your score. If you do see any errors, it’s important to make sure they get resolved before you start the refinancing process. Additionally, make sure that you have a higher credit score than when you first took out your car loan, if possible. That will make you more favorable in the eyes of lenders. Most people understand that bad credit can happen. To help combat that situation, if you can show lenders that you make full, on-time payments towards your loan, it can improve your chances of refinancing. It will also show that you’re not delinquent, are able to stay on top of monthly payments, and that you’re managing credit responsibly. Establishing and verifying steady income is another factor that will make you more favorable in the eyes of lenders. This will also show that you’ll be able to afford your new loan payments. 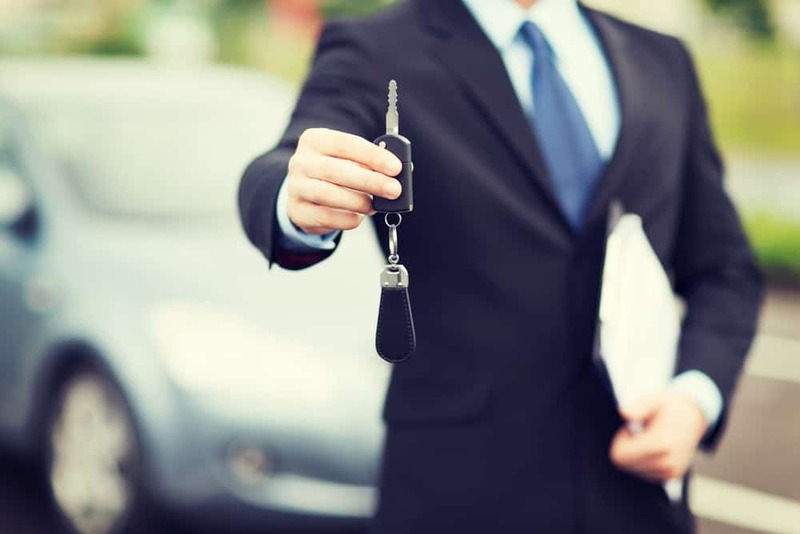 In fact, according to experts in the industry, borrowers who are considered higher risk, continue to pay bills on time, and choose a vehicle within their budget should receive the financing they need. Even with bad credit car loans. Lastly, taking the necessary measures to improve your credit score can help raise it which in turn can help you to secure a loan with a lower interest rate. In addition to making on-time payments, other ways to help increase your credit score include reducing the amount of your other debt and keeping credit inquiries to a minimum. Obtain a lower rate with the same terms: Looking to reduce the amount of interest you’ll have to pay over the entire length of your loan? Refinancing for just a lower rate can help. Securing a lower interest rate will also help to reduce your monthly payment amount. Refinance for a lower rate and shorter loan term: Another way to save money, in the long run, is to refinance with a lower rate and shorter term. Just know that this option will actually increase your monthly payment. The benefit to that is you’ll be able to pay off the loan that much quicker. Extending the term length to reduce monthly payment amount: To help offset financial trouble or to help you save more cash per month, refinancing for a longer loan term length will do the trick. While this will lower your monthly payment allowing for more financial flexibility, however, it also means that you’ll take longer to pay off the loan. Additionally, you’ll also be paying more in interest. All three options have pros and cons. We recommend that you sit down and plan the best course of action for yourself and financial situation. To recap, it is possible to refinance with bad credit car loans. While the loan terms or interest rate might be higher than you’d like, you’re still able to get a new car loan. Taking the right steps and putting in the time to improve your credit will ultimately be key. Creating a steady track record of making on-time payments will show lenders that you’re serious thus reducing the “risk” of borrowing to you. At the end of the day, even a small drop in your interest rate can add up to significant savings, making the entire refinancing process very worthwhile. One of our main goals here at LendingArch is to empower Canadians so they can make easier and smarter financial decisions. With just a few simple questions, you can be matched and approved for a new car loan. LendingArch is here to help you by ensuring the process of getting out of bad credit car loans is speedy and seamless. Let’s get started today. Contact our friendly team to start the refinancing process.